Low water Bridge to #8-8 miles, takes 3-4 hours of canoeing. or #8 to #11-shorter trip-3 miles-takes 1-2 hours. 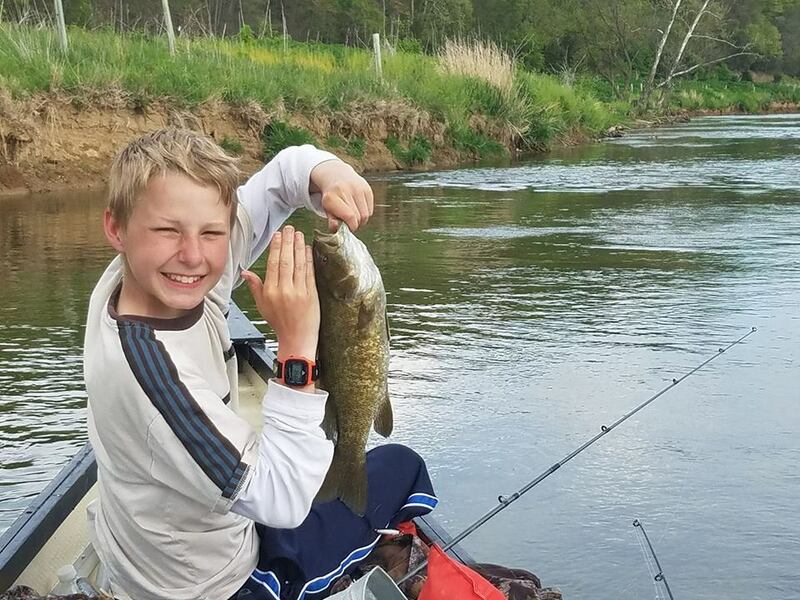 Great fishing in riffles. 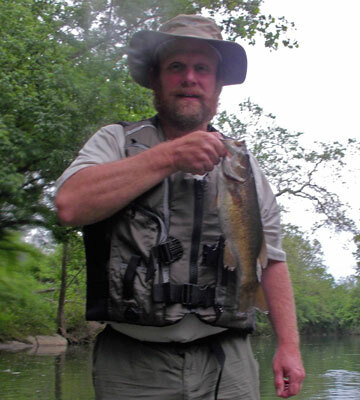 Fishing on the South Fork of the Shenandoah River has been said to be the Best Small Mouth Bass fishing in Virginia. 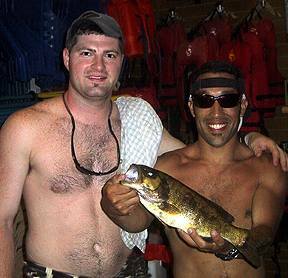 The section from #1 to #11 (Bixler’s Bridge to Foster’s Boat Landing) is considered the ideal section for ‘quantity of fish’–large and small mouth bass, sun fish–brim, pumpkin seed, blue gill etc. 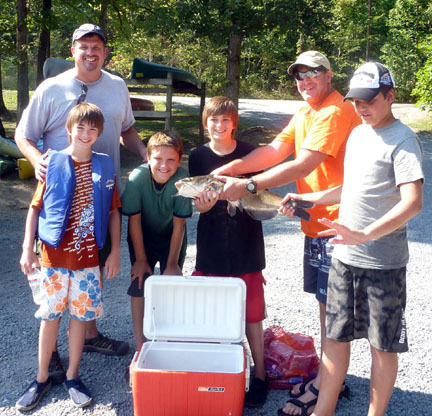 ; catfish, carp, and even an odd trout or musky! This section of river has lots of little riffles and small holes as the ideal hiding place for the fishes. The lower section from #11 to #19 flowing by G.W. National Forest starts out with riffles then a few ledges and then much deeper holes where the Big Ones hang out. These are harder to catch but definitely keepers! 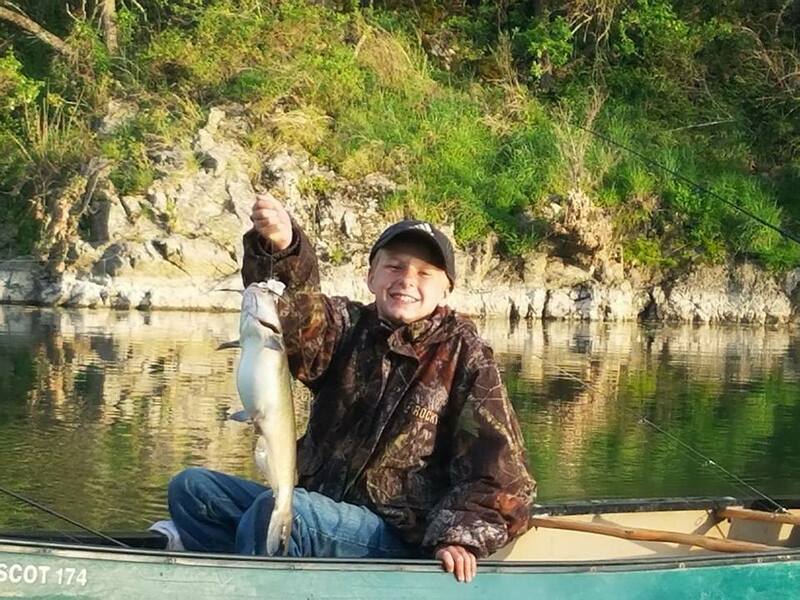 Fishing Licenses can be purchased ahead of time online http://www.dgif.virginia.gov/licenses/ or at WalMart in Luray. We do have bait worms and some selected fishing gear and artificial lures. For Flyfishing supplies, Murray’s is in Edinburg, just over the mountain . http://www.murraysflyshop.com/ They also can arrange lessons. 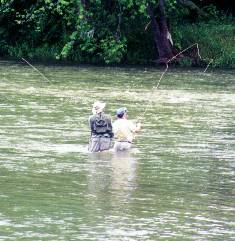 Also Page Valley Fly Fishing can arrange guided trips too. 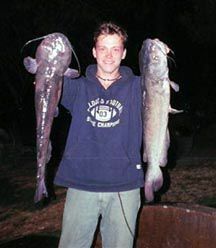 Other bait you might want to catch to take on the River–minnows, Mad Toms and helgammites. There are lots of fish here! 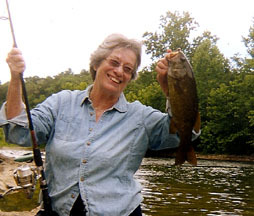 Here is a link to article about bass history in the Shenandoah River. 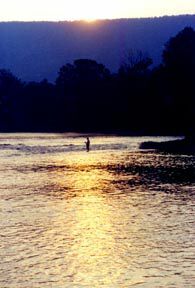 Shenandoah River Outfitters has River Log Cabins for rent on the banks of the Shenandoah. Each cabin sleeps 6. There is a shower/bath room and a kitchenette. A front porch completes the cabin. Simply a Great Get-a-way spot 150 yards from the banks of the Shenandoah! Check out this page for hints on taking Fish Photos! 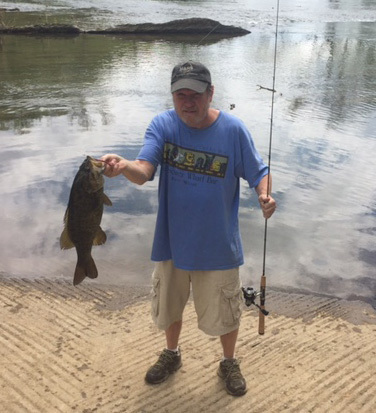 We heard this several times this year-2017–fishing is Great!